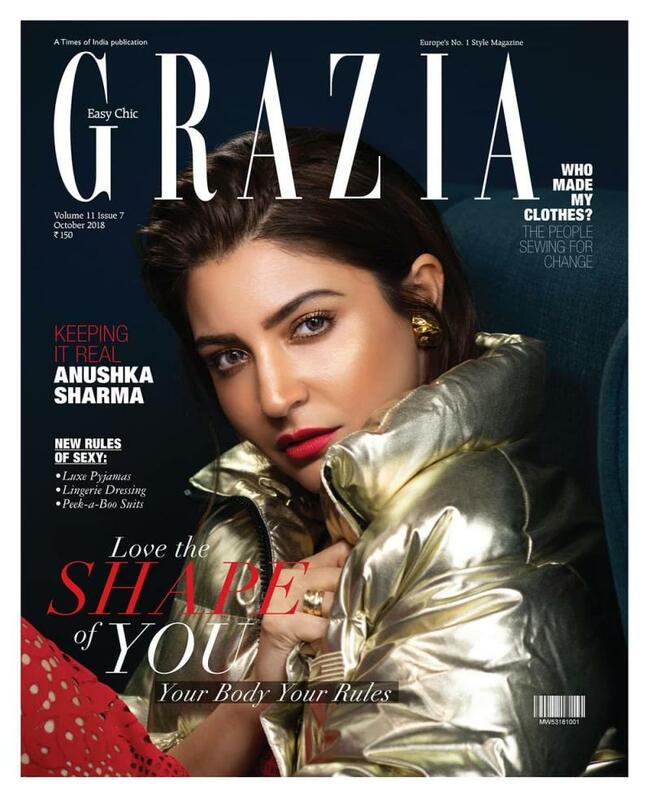 Anushka Sharma’s Grazia Photoshoot Will Leave You Stunned! Anushka is looking stunning to say the least, take a look! Anushka graced the cover of Grazia India magazine on a lavish and mystic photoshoot, the result is stunning all the way. The looks chosen for the photoshoot and is minimalistic yet are all statement pieces. Choosing a star with a sharp personality and making wonders out of is great. When the magazine asked Anushka about maintaining her actual personality, she said, "While I inherently want to do well by everyone, I don’t want to be fake for people to like me. " In the pictures, Anushka is donning a Sapphire blue dress, surrounded by flowers which is creating all the mystery. With bold maroon lips and the subtle use of bronzer is making the look bold yet regal. The gold flower-shaped earrings by Valliyan is adding upto the look and every piece is standing out beautifully. On her marriage to Virat Kohli, the ‘NH10’ actress reveled “Everyone makes such a big deal of these things. I did too, wondering what it’s going to be like, and whether things will change. Nothing has changed, really." Currently the actress has delivered ‘Sui Dhaaga’ along with varun Dhawan released last Friday and it is going pretty strong in the box office.